Over a month after the 2018 midterm election, the North Carolina Board of Elections has still refused to certify  Republican Mark Harris' initial apparent victory in the 9th Congressional District after questions were raised over alleged election fraud by members of his campaign. The allegations  “suggest some kind of scheme” by “people supporting the GOP campaign” to influence the results of a close race. Sworn statements  from voters in Bladen and Robeson counties “described people coming to their doors and urging them to hand over their absentee ballots, sometimes without filling them out.” Two women have come forward  reporting that they were paid by Leslie McCrae Dowless Jr., a contractor who worked for Harris’ campaign specifically  on absentee work, to collect ballots in their district. Both women claim that they didn’t know that what they were doing was illegal, but election law in North Carolina  “allows only a family member or legal guardian to drop off absentee ballots for a voter.” Investigators are also looking into  “unusually high numbers of absentee ballots cast in Bladen County” and other voters’ statements claim that they received absentee ballots without requesting them. Fox has also failed to tell its viewers that the benefactor of the alleged election fraud is a Republican candidate , even though at least six sworn affidavits make clear that “the Republican nominee was the one who stood to gain from it.” Fox & Friends First reported on the story for less than 30 seconds, claiming that “ballots may have been illegally collected” without making it clear which party’s candidate is facing allegations. The hosts then pivoted to yet another story on incoming freshman congresswoman Alexandria Ocasio-Cortez. In another late night segment lasting less than 30 seconds, Shannon Bream focused on the “Democratic candidate trailing in the race … withdrawing his concession,” before quickly moving on to a segment about scandals surrounding potential Democratic candidates for 2020 presidential election. Dana Perino, host of The Daily Briefing, hosted a segment which explained the allegations, but again did not say which party likely benefited from the alleged election fraud. Additionally, the segment pointed out that Harris was still technically in the lead by 905 votes, but did not specifically mention that the alleged election fraud very well could have impacted  this outcome. But for the most part, many shows on Fox News did not report on the story at all, which is unsurprising given the network’s close  relationship  with the GOP. 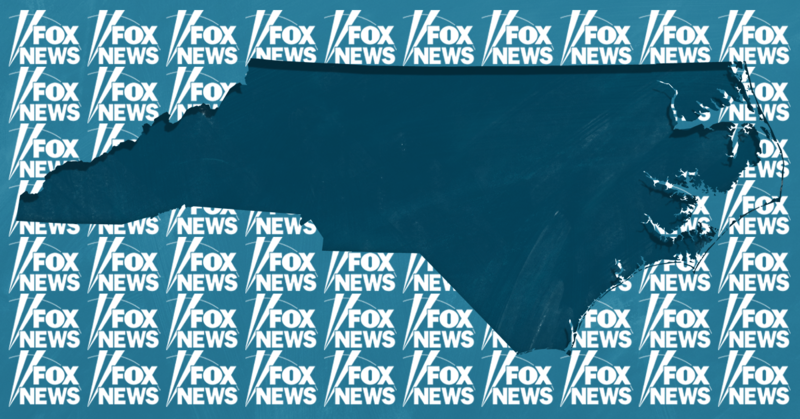 None of Fox’s prime-time or morning shows this week covered the serious allegations, but they found time to cover stories that could hardly be called newsworthy . Any shows that did cover the story had segments that lasted around 30 seconds  or less with little discussion or analysis. It appears Fox sees fraud as an issue only when there are made-up allegations of voter fraud  against Democrats with no evidence  to back them up.